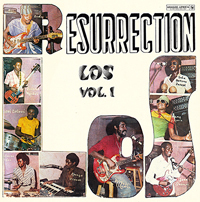 This was the final album of a once massive Camerounian band who broke up in 1979. It was recorded live in the Mango Bar, Yaoundé and has laid-back vocals with a smoldering guitar. Lead guitar wizard Messi Martin has a catch-all approach to Makossa, Bikutsi and even Cavacha in the breakdowns and solos. The disc comes out on vinyl in a limited edition at the end of September. There's a big room sound to the drums and loads of Echoplex on the guitar as well as the vocal mikes. Oddly it reminds me of my beloved Super Mama Djombo from Guinée-Bissau more than other Camerounian bands. I even get a feel of Angola in there. Whatever it is, legendary is a fair epithet, and once again we owe Analog Africa bigtime for finding it. Analog's man-on-the-spot Samy Ben Redjeb explains how the music evolved. Bikutsi was traditionally played on balafon but Messi chewed up bits of paper and stuck them under his strings to deaden them and give his guitar a balafon sound. This drove the fans wild. Despite massive radio hits and local popularity, the band fell apart by the mid-70s: the solid grounded leader Jean Gabari could not longer contain the quixotic lead guitarist Messi. Then in 1979 a businessman asked them to reform for one more round. They opted for playing live in a club, rather than the studio and just picked up where they had left off, thriving off the energy of the crowd. It is shimmering and exciting music. There was no volume two, sadly, as Jean Gabari, the bandleader, was already ill, and was forced to retire. As usual none of the members ever reached these heights again, so we are fortunate to have this gem literally resurrected for us. Analog Africa is one of the most prolific, diverse and provocative labels going. It focusses on reissues and has created a fabulous back catalogue of music we never even knew existed, from all over Africa. And Analog Africa strides ahead with yet another fantastic reissue, the second or third this year (depending whether you count disco). We are still digesting Los Camaroes' stellar album, which reappeared this summer, and here comes another previously unknown gem. This short album presents the complete works (3 singles or 6 sides) of Hamad Kalkaba backed by a band who I am pretty sure are not the same Golden Sounds of "Zangalewa" fame. 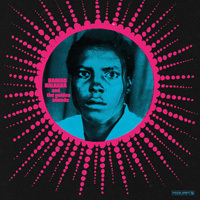 The "continuing adventures of Samy" fill us in on the story of how label boss Ben Redjeb found a single by this artist and then went on a quest for more works by this one-time master of a particular Northern Camerounian rhythm known as the Gandjal. Finding the music was tough, but it was not hard to track down the artist, for, once identified, he was known to everyone as a retired colonel who had gone on to the nation's Olympic committee and thence to head the Confederation of African Athletes. As a soldier Kalkaba joined the band of the Republican guard and rose to be leader, learning the various instruments along the way. But at the time, 1970, they played European music and he wished their own rhythms could be showcased the way Makossa and Bikutsi were being performed in other parts of the former French colony. (Originally a German territory, Cameroun was divided between Britain and France after WW1, but when Independence loomed in 1960, the Northern British part opted to join Nigeria.) Like other African artists of the 70s the aim of young Camerounian musicians was to take traditional rhythms and modernize them with electric guitars, keyboards and drum kits. "Lamido," one of the harsher cuts on here, has an attack reminiscent of Fela, a grindingly funky groove, yelled vocals and an ominous organ hovering in the back with even more threatening horns punching through as the vocalist grunts "Bismillah!" I have no doubt these were massive hits in their day and shocked the people with their bold thrust away from the traditional thumb piano and rattles into electric big band sounds. They even turned some of these traditional songs into military marches. They did include a balafon and talking drum in the lineup but these recordings were made in a Protestant mission and consequently the mikes are not balanced, which is why there is a distant rumble from some of the less-audible instruments. "Gandjal kessoum" kicks right in with wild drums and wildly flailing sax in a hot take. The lyrics (which are included) are socially conscious and show how Kalakaba could have been a transformative force as a singer had he chosen to continue that career. But after his band appeared at Festac '77 as representatives of Cameroun he decided to devote himself to the more secure career of the military. This is short, sweet and mighty fine. 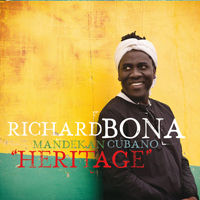 Richard Bona hails from Cameroon and has now released an impressive 8 solo albums. He is a bassist and has collaborated with many African and American artists, including Lokua Kanza, Pat Metheny, Bobby McFerrin, and Mario Canoge, but has put together a new outfit for this album: Mandekan Cubano. He decided to explore the connection between Cuban music and its roots in the 15th-century Mandinka culture of West Africa. This seems overly ambitious but relax and enjoy the music. "Bilongo" has a familiar refrain --"Kikiribu Mandinga"-- and this song by Guillermo Rodríguez Fiffe has been covered by everyone, including a great version by Ismael Quintana with Eddie Palmieri. Bona performed it in Vienna 2012 with the same band under the title "Engingilaye." It's worth hearing again, in fact my friend Lulu sent me this version by Conjunto Casino featuring Alfredito Valdés. This must be a touchstone for the Afro-Cuban researcher looking for the Mandinka connection. Kikongo, Yoruba and Mandingo words and phrases survive in Cuban culture and often make it into songs. This is the stand-out track on the album, which is well-produced (by Quincy Jones) and continues Bona's approach of treating each album as a story with chapters. Other fine tunes, including "Santa Clara con montuno" and "Muntula moto," sound like covers, but as with "Bilongo," Bona takes the credit. 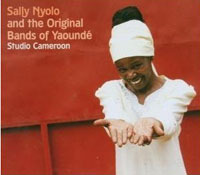 We haven't heard anything sparklingly original from Sally Nyolo since her 1996 debut (She backed Toure Kunda and toured with Zap Mama in the 90s) and here she is doing something remarkable. She grew up in Paris but recently went home to Southern Cameroon and set up a studio in a tin-roofed building and held open court for any musicians that wanted to come along. So she got to discover what had been happening in her absence. Some of the acts just do their own thing, others collaborate with Nyolo so it's like a sampler of the rootsier side of Cameroon, far from European studios with their toys and tools. The result is carefree and quite magical. The most famous rhythm from Cameroun is Bikutsi, which is jagged African rock and roll. But in addition to guitars there are balafons and other more organic instruments on here such as the wooden drum called the nkule. It starts off sounding like Pere Ubu with a group called Guêyanka, followed by more traditional-sounding pieces.